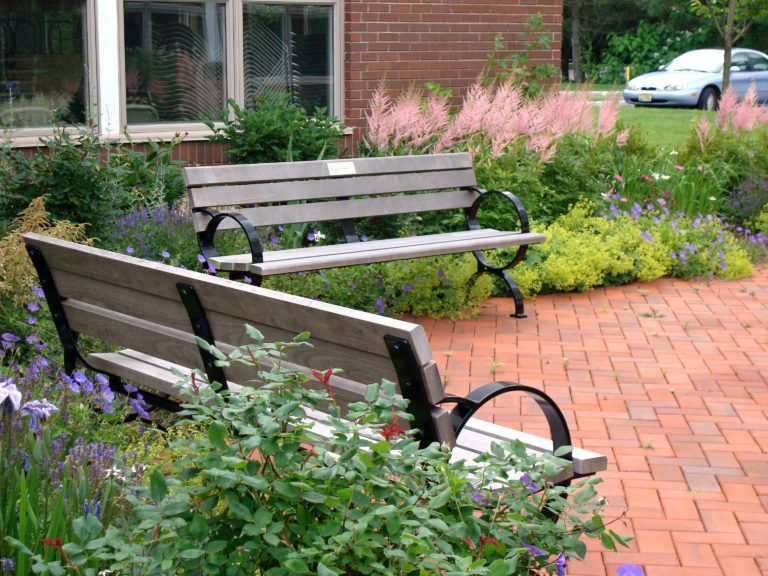 Visiting Nurses Association of Somerset County - Bosenberg & Co. 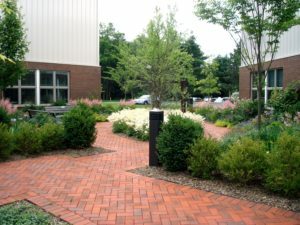 The site contains the newly constructed offices for the Visiting Nurses Association of Somerset County as well a day care center for Alzheimer’s patients. A secured garden was designed next to the day care center for patient’s access. 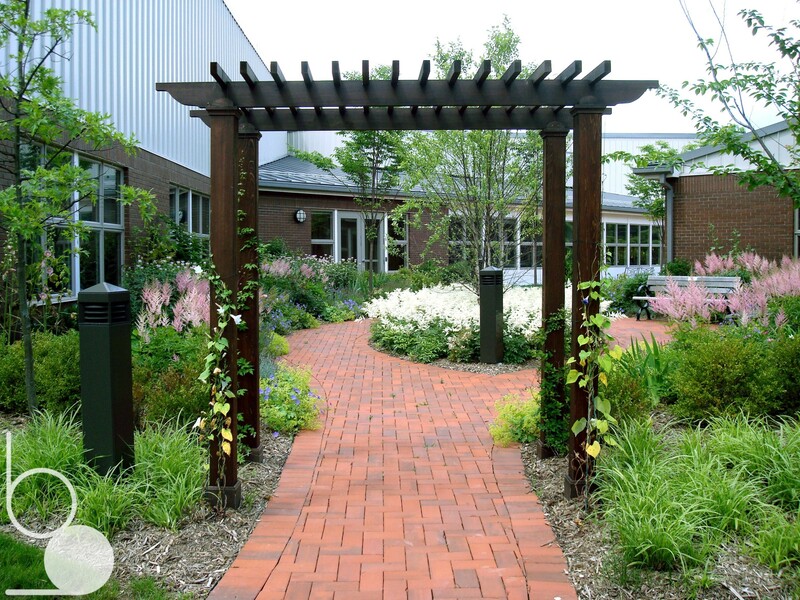 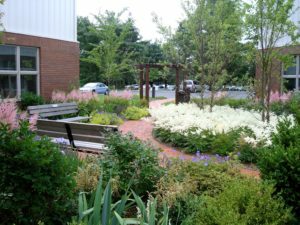 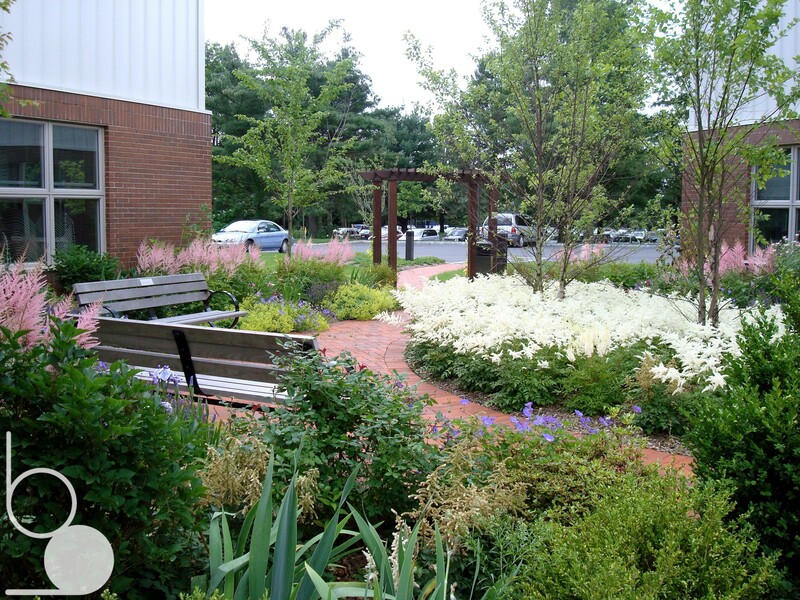 Texture and fragrant and flowering plants were used throughout the garden as part of their therapy. 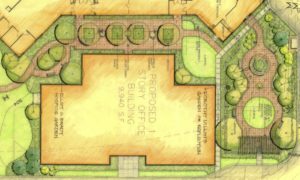 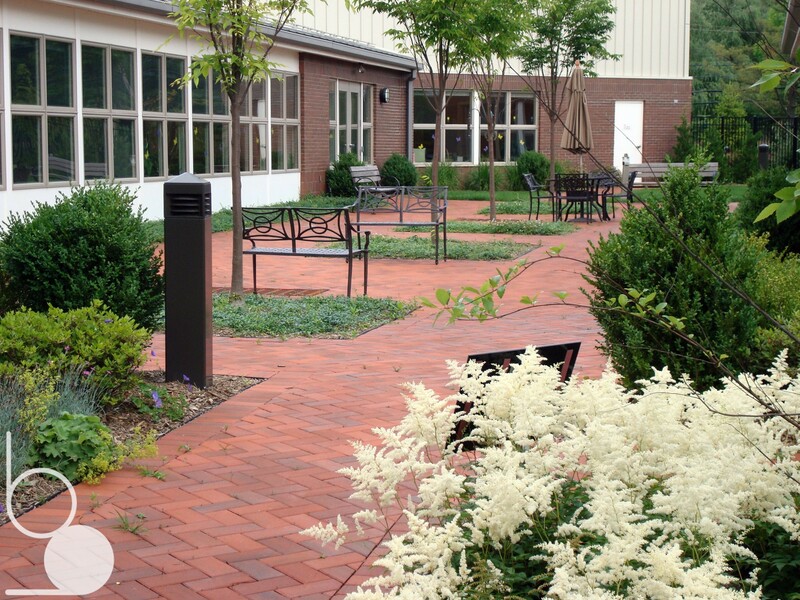 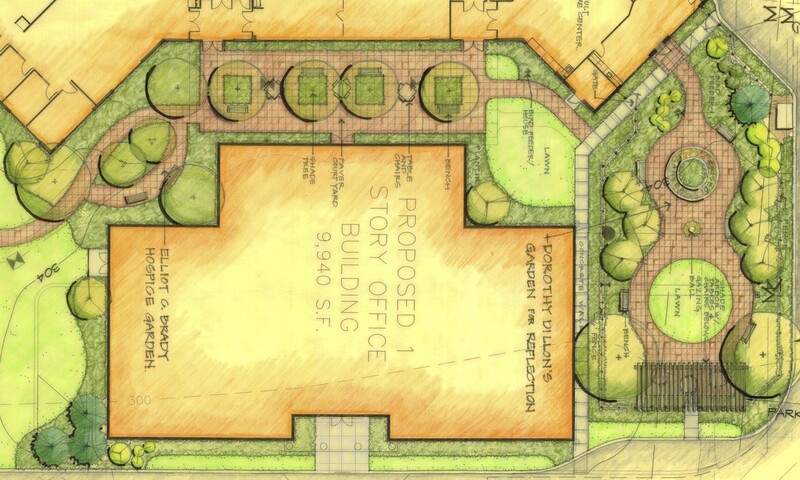 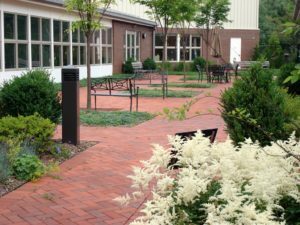 Also added to the site was a courtyard adjacent to the cafeteria to allow for outdoor dining.